The Lazer Inclination Sensor is the ultimate training tool to make you faster. It will keep you in your most aerodynamic position so you can cheat the wind and be as fast as you can be. Amateur riders, weekend warriors, seasoned professionals... everybody is affected by fatigue during a ride, and the change in body posture it brings along with it. During a time trial or triathlon bike leg, this results is a less aerodynamic position on the bike and thus a slower ride. But how do you notice this change in body posture? Well, you couldn’t up to now. But that has all changed with the arrival of the Lazer Inclination Sensor. The Lazer Inclination Sensor is a body posture monitor that allows you to track your aerodynamic cycling posture in real time. Before using the monitor it should be calibrated towards your optimal aerodynamic cycling position. For the best result the calibration should take place in a wind tunnel with the help of aerodynamic experts. But it works just as well when you visit a training center or shop with experienced professionals to help you find that ideal aero position. 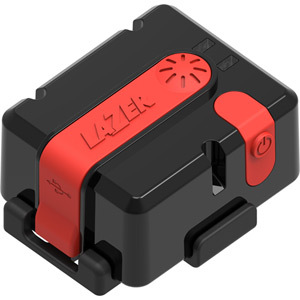 The Lazer Inclination Sensor has a specific mounting position for each type of helmet where it can be used. This is always at the back of the helmet so it doesn’t hinder the airflow. The sensor is mounted on a specific holder to keep it safe. The holder and sensor can then be mounted into the helmet by using preinstalled snap baskets. 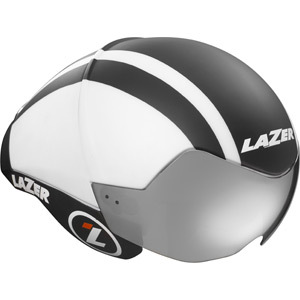 If you have an older helmet but still want to use the Lazer Inclination Sensor you can use Velcro tape provided in the package to attach the holder into the helmet.